Hey, queen of the pool! Are you looking for a royally gorgeous look? 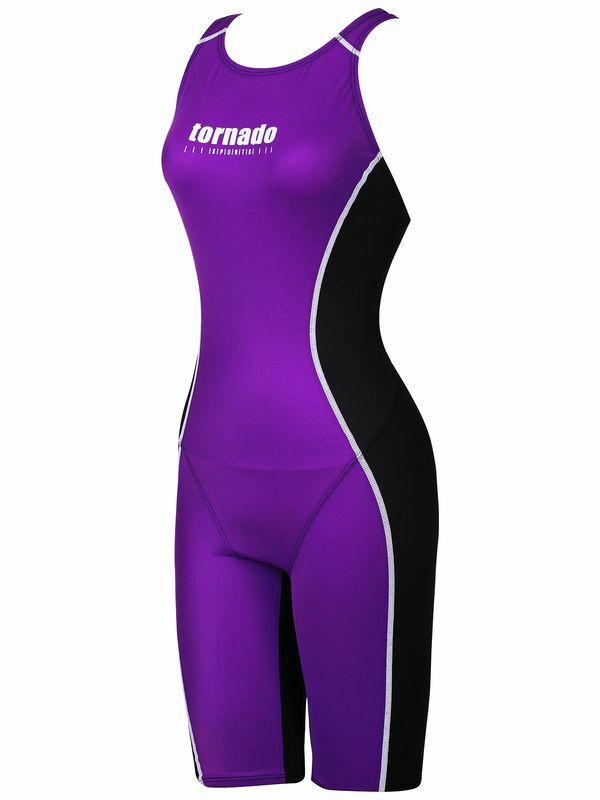 If you want a look that will have you reigning over the pool, you are going to love the Tornado Royal Purple Women’s Kneelength! This vibrant violet style features a sleek midnight black colour block down the side that is as flattering as it is fun. With an ultra modern Tornado logo at the front and centre along with striking magnolia white stitching, this knee length has it all. Made by our fave Korean swimwear company, the Tornado Royal Purple Women’s Kneelength is a one of a kind look.